Rowan is launching three brand new DK yarns this Autumn/Winter season, and I'd love to give you a quick preview of two of them: Pure Wool Superwash DK and Super Fine Merino DK. These two new yarns are showcased beautifully in Martin Storey's collection, Easy DK Knits. A little bit of info about these two yarns: Super Fine Merino DK has a natural elastic quality for movement when wearing. 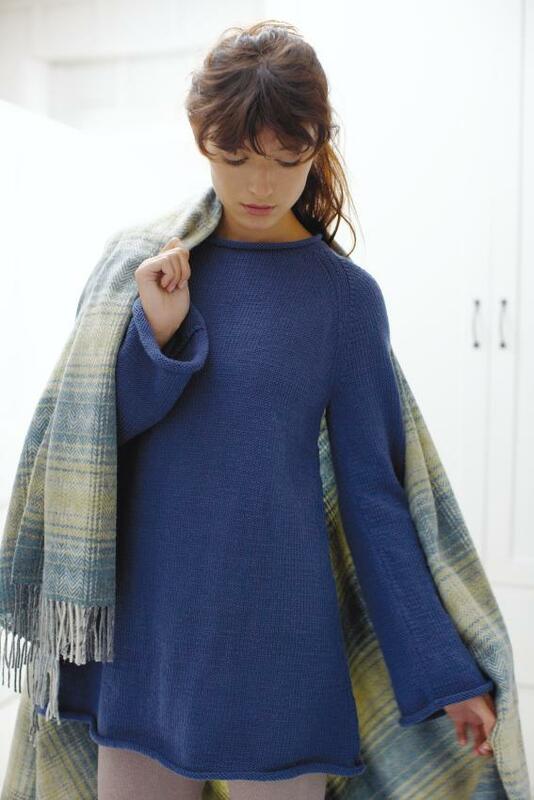 The knitted fabric is soft and smooth and feels great to wear. Super Fine Merino will also be available in 4-ply and Aran. Pure Wool Super Wash DK is hard wearing, making this yarn idea for the whole family and perfect for household knits. It's superwash, too! This book is quite possibly my favorite this season and has so many perfectly wearable sweaters in it. My absolute favorite is this simple pullover, Greenwich, which I plan on making (right away) in Super Fine Merino in a bright chartreuse shade called 'Zing.' Check out more photos below of my favorite designs from Easy DK Knits. 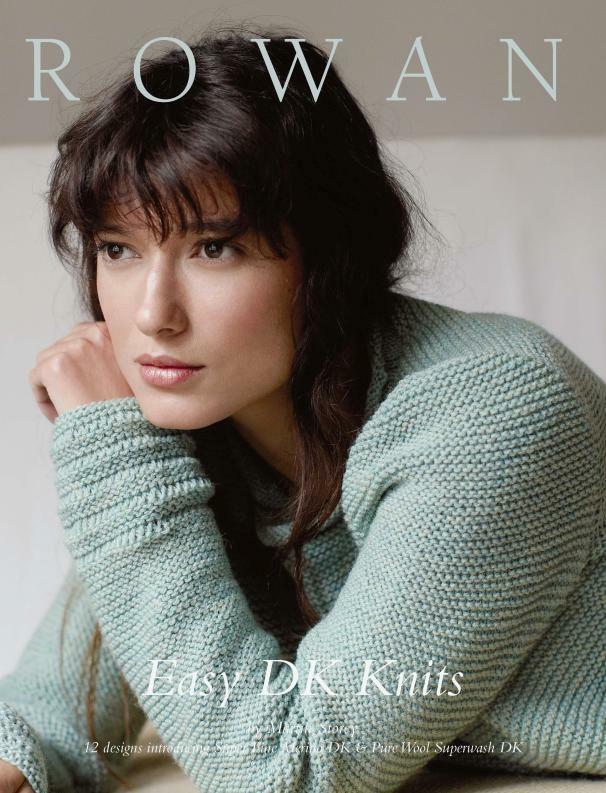 Keep an eye out for this gem this fall at your local Rowan stockists ... it's sure to be a classic go-to collection that you'll turn to again and again. 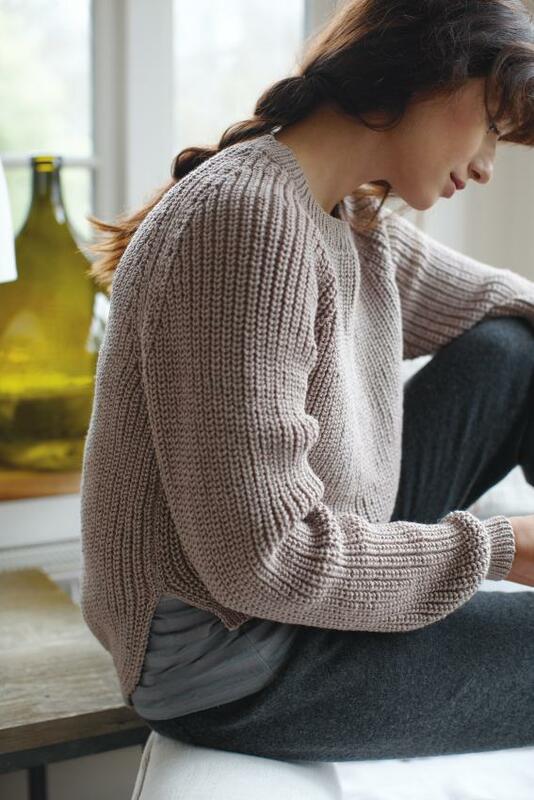 What a gorgeous collection of classic simple and elegant sweaters! Love it! Great designs for these yarns!